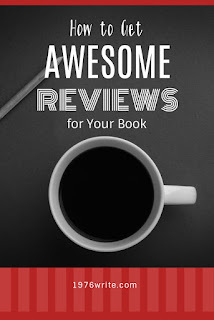 As an unknown author book reviews are a great help in generating sales. Any future readers will put your name on their list, especially if you're book has generated good reviews. Any product bought online sells better after a few good reviews. Reviews from people who like your work will carry you far, and even bad reviews will tell you whether your book was worth reading. Even bad reviews can tell you how you stand as a writer, but in the long, will help you improve your writing. So how do unknown authors get their readers to review their books? Word of mouth is what is going to sell your book, the more people that like it, the more people will buy your book. A few simple sentences at the end of your book. Example, If you enjoyed this book, please consider leaving a review in Amazon. Book reviews come because people start to trust you as an authority. This takes time to cultivate, so don't expect immediate book reviews. Amazon is the best example of this, every 90 days you can give your book away for free for 5 days. How you use the 5 days is up to you. The more eyes you have reading your book, the more chance you have of getting your book reviewed and bought. Ask your subscribers to review your book in your email newsletter. Again, incorporate a call-to-action with your email, giving them the opportunity to review, after they've downloaded a free copy. If you're already on social media, try creating conversations with your followers and then ask them for a review.